Find out why an auction is right for you. Looking for Auctions? Find an AAA member auction near you! Arkansas CE Courses 2019 in: Fayetteville, Jonesboro & Little Rock! 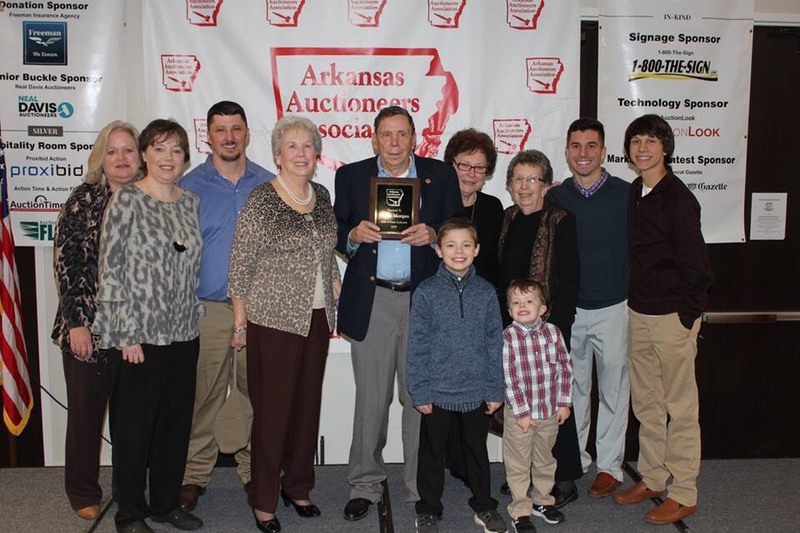 The weekend of February 1-2, 2019 was a busy one for Arkansas Auctioneers Association (AAA). This is when auctioneers from across Arkansas gather for the Annual AAA Winter Meeting, in Hot Springs, AR, at the Hotel Hot Springs & Spa. While auctioneers come for continuing educational credit, the convention offers many more opportunities for both seasoned veterans of the auction profession as well as newcomers to the industry. Some say it’s the competition that attracts them. Others say it’s the entertaining nature of the business. Whatever the case, people everywhere are sold on auctions. WELCOME! the Arkansas Auctioneers Association. We are a statewide association dedicated to improving professionalism in the auction industry and promoting the auction method of marketing. Association offers leadership, support. information and assistance to its members through its various committees and services and lobbies to protect and enhance auction interests in the state. Members in good-standing in the Arkansas Auctioneers Association abide by Arkansas Law, AAA By-Laws and a strict code of ethics. ⏰ It’s time to get your Auction CE’s! Click on the link below to preregister for the upcoming CE classes! A Two-Time Champion Auctioneer, Brian Rigby has been serving the Auction and Equine Industries professionally for over thirty years. A graduate of UMC, Brian attended Missouri Auction School in 1981 and has successfully conducted auctions in 35 states, as well as in Canada and Europe. His auction company, B A Rigby & Associates, specializes in marketing upscale Residential, Recreational, Ranch, Commercial and Development properties. Brian has served as Auctioneer, Announcer, or Sale Manager at many of the nation’s major Equestrian Events managing a variety of Equine Sales since 1981. ♦️YOU MATTER to the Arkansas Auctioneers Association! We are striving hard to be the best Association we can be for the Auction industry and its Professionals! Membership runs from January 1- December 31st each year. Just click this link and Join for the 2019 year! If you have any questions , please feel free to call! Arkansas Auctioneers Association is with Tony Wisely. Join us in Jonesboro on June 17! With more than 20 years of experience “empowering organizations to achieve their mission through successful fundraising”, Tony is dedicated to providing professional assistance to groups seeking a positive impact in their fundraising efforts. He is a 2005 graduate of the Missouri Auction School, known by many as the “Harvard of Auctioneering,” and a licensed auctioneer in the states of Texas, Arkansas and Missouri, all to help further his purpose of “Funding a Better World”. Tony is the 2019 Oklahoma State Champion Auctioneer, the 2019 Arkansas Reserve Champion Auctioneer, the 2018 Kansas State Champion Auctioneer, the 2018 Arkansas State Champion Ringman, the 2018 & 2013 Oklahoma State Reserve Champion Auctioneer and the 2014 Champion Ringman. The Arkansas Auctioneers Association (AAA) is a state-wide association dedicated to improving professionalism in the auction industry and promoting the auction method of marketing. The Association offers leadership, support, information and assistance to its members through its various committees and services, and lobbies to protect and enhance auction interests in the State. Members in good standing in the Arkansas Auctioneers Association abide by Arkansas Auction Law, AAA By-Laws and a strict Code of Ethics.